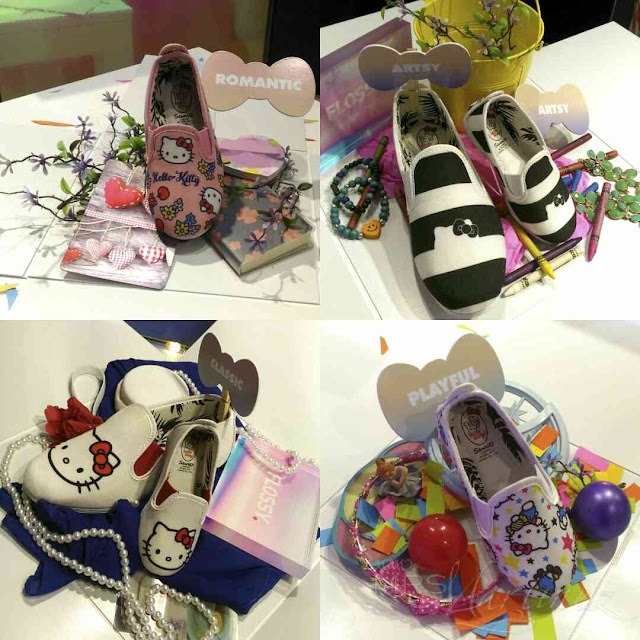 Manila, Philippines- Flossy, the original plimsoll* that's handmade in Spain, brings kawaii to its latest collection by collaborating with Hello Kitty. My daughter and I graced the launching of Flossy x Hello Kitty last Saturday at the 3rd Level, SM The Block. It was an afternoon filled with a lot of games and surprises! 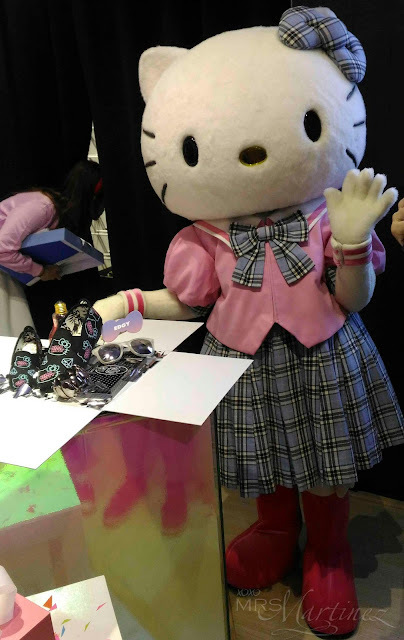 The big reveal was presented by Hello Kitty herself! Inspired by the vibrant and carefree Ibiza Beach lifestyle, Flossy rose to popularity in 1987 for its equally colorful and finely-crafted line of plimsolls. Since then, the lightweight and non-fuss style of Flossy has been embraced by free-spirited and fun loving individuals everywhere. 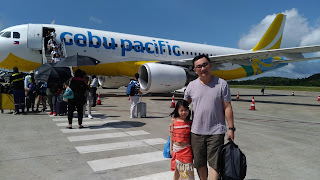 Today, the trendsetting shoe brand is available in more than 40 countries worldwide including the Philippines- bearing fresh and fashionable collections that reflect the spirit of the times as much as its brand heritage with each turn of the season. Born on the 1st of November in suburban London, Hello Kitty captured the affection of kids and kids at heart all over the world as the newest addition to the Sanrio character line up in 1974. Characterized by her cute charm and her iconic red ribbon, she is best known for being warm, bright, and kindhearted to everyone. Flossy x Hello Kitty collection has a lot of different prints that girls of all ages can choose from. Whatever design you choose, there's definitely one that suits your personality. My daughter and I picked the same design- a pair of black and white stripes (shown on top right). It's very artsy-fartsy, agree? FlossyxHelloKitty costs Php 2,490 for adults (size 36 to 38) and Php 1,490 for kids (size 28 to 34). To know more about Flossy, visit www.flossyshoes.com, Flossy Footwear PH on Facebook and @FlossyFootwearPH on Instagram. *plimsoll- a light rubber-soled canvas shoe, worn especially for sports.